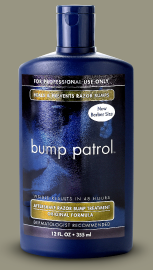 Get a free bump patrol sample for barbers. This is for barbers only. Click on the check box to get a free sample and fill out the request form. You will receive a 12oz bottle.